Downtown Columbus Ohio's Wedding Chapel & Minister Service Located Just Steps From The Franklin County Courthouse! Only $70 (cash or credit ,debit) Up To 10 Guests! Celebrating 9 years of service!! Thank You!! 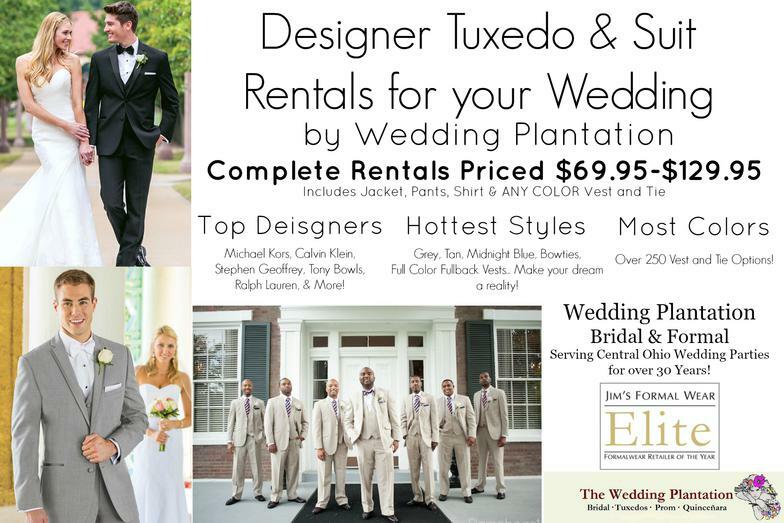 Family owned & operated since 1984, Wedding Plantation provides brides with top quality service and selection. Featuring an affordable selection of wedding gowns, the largest selection of bridesmaids dresses in Central Ohio & designer tuxedo rentals, Wedding Plantation is one stop not to be missed! Spend your wedding night in a Castle! 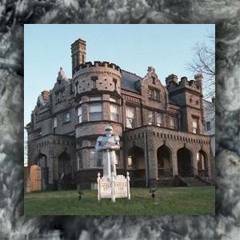 Located in historic Downtown Circleville, Castle Inn is your unique destination for romantic stays, intimate elopements & wedding receptions and showers, monthly murder mysteries & more! Ceremonies begin at only $70 includes up to 10 guests!! 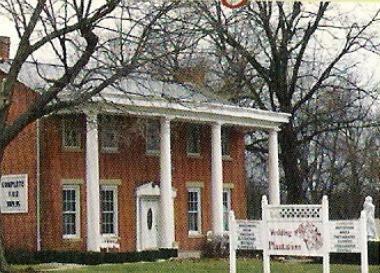 Walking Distance From Franklin County Courthouse! 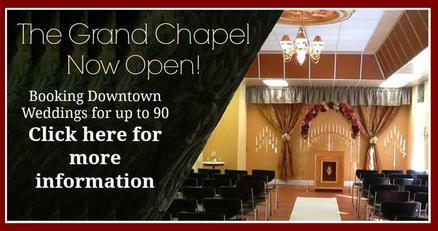 Our new Downtown Grand Chapel is the perfect downtown Columbus, OH location for your wedding of 2-90! 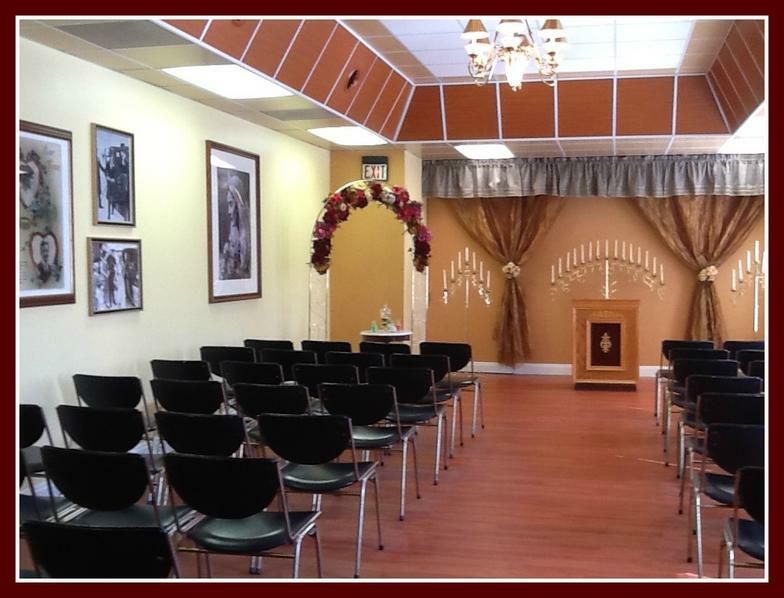 With packages available to fit any style, size, or budget, our wedding chapel can fit the needs of any wedding party! 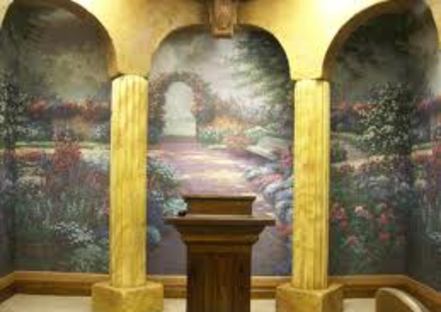 Visit our "Grand Chapel" page for pricing information and schedule your consultation with one of our consultants today! Since The Courthouse Wedding Chapel is located right across the street from the Franklin County Courthouse Marriage License Dept--- Weds-Fri you can purchase your marriage license, walk across the street to us, have a ceremony in our beautiful chapels, and return the signed paperwork to obtain your legal abstract copies immediately--ALL without even having to get back in your car!! Why spend more time, and more money on gas when you can get everything accomplished immediately! Looking forward to being of service to you as we have for others for over 7 years! !.